Safe interaction with animals is one of the best things the adults in your world can provide for you. Animals teach us about love, care, connection, and responsibility. But awareness of animals' unpredictability in interactions with kids (and adults) is something you must always have in mind. If there is an event in which you or a friend or sibling is bitten by an animal, make sure you and the adults you're with know the basics of animal bites. Two-thirds of dogs that bite children had no history of aggressive behavior. Even breeds that make “excellent pets” may bite. Toddlers may innocently incite dogs by suddenly running toward them, arms flailing and making happy noises--behavior that animals may interpret as threatening. Permanent petting zoos tend to be more sanitary than temporary ones such as those at fairs or on farms. Good facilities select animals least likely to spread disease, inspect animals periodically, and provide hand-washing facilities. Hand-washing must be thorough, using lots of soap, and should take at least 20 seconds (about as long as it takes to sing "Happy Birthday" twice through). Because people generally wash their hands only after an activity (playing with animals, for example) is over, be careful to avoid putting your hands near your eyes, mouth, or nose until after you have washed your hands. Small, hard-to-see puncture wounds can transmit serious illnesses. Wash all wounds well; however, puncture wounds are nearly impossible to clean adequately. Report the incident to an adult and to responsible local authorities--further treatments may be necessary. This disease is virtually 100% fatal if left alone, but 100% curable if treated promptly and properly. Tens of thousands of people, two-thirds of them children, die of rabies each year in developing countries. The vast majority of cases are caused by dogs, but any mammal can transmit rabies. There are rabid animals in North America, mostly in rural areas. All bites and licks from animals must be examined by a doctor or other adult. Good follow-up treatment has practically eliminated rabies cases in humans. Treatment involves proper wound cleaning and six injections over a month, which are in the arm and no more painful than other injections. The few cases of rabies fatalities that do occur in North America are mostly due to bat bites. Because bats have small teeth, their bites are not very painful, and the marks are not easily seen, you might think a bat bite is no big deal. But it is very important to tell a doctor or other adult if you have contact with a bat or even if you just find a bat near another kid (especially a young child). Animals are valuable learning aids in schools and can teach us a lot. But some animals can carry disease-causing organisms. Baby chicks and ducks, and turtles and lizards, for example, sometimes carry salmonella or other intestinal disease-causing organisms. Young children (less than five years old) and people with immune conditions or certain chronic diseases are most at risk of such diseases. You can find guidelines of animals who are least likely to cause disease on the internet, from the National Science Teachers Association www.nsta.org and the National Association of Biology Teachers www.nabt.org. 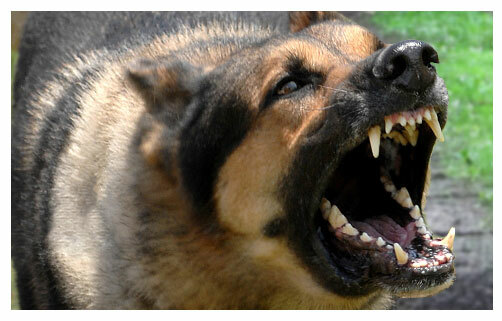 Pet dogs and wild animals often feel threatened by each other and respond aggressively. Children have been injured trying to retrieve dogs who suddenly bolted, or ran off. Dogs can acquire disease-carrying organisms and poison ivy on their coats and transmit them to people. Stop at visitors’ centers in national parks and forests for information about local animals. 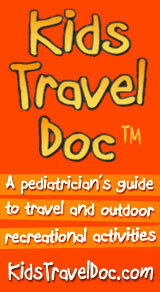 Read Centers for Disease Control and Prevention wwwnc.cdc.gov and World Health Organization www.who.int/ith/en websites before you travel overseas, especially to rural areas in developing countries. If the doctor knows you have visited a petting zoo, camped out, or traveled overseas, for example, he or she will be better able to make diagnosis and plan treatment.